Say “Spanish white wine” and I tend to think Albariño. But lesser-known whites are drawing more attention lately and therefore becoming easy to find in stores and on menus. Ermita de Nieve Verdejo 2011 – This wine is produced in Rueda, a long-established wine center in Spain’s Castilla y León region, some 80 miles northwest of Madrid. The area is situated on a flat plateau with a relatively high elevation, making for favorable growing conditions—cool nights, sunny days; similarly, cold winters and hot summers. Ermita de Nieva produces Verdejo exclusively, fermenting it in stainless steel barrels. It drinks dry and crisp. On the nose, the wine is softly grassy but on the palate the grass is dominated by citrus—maybe lime, some say grapefruit. Ermita’s Verdejo is widely available in retail stores for around $10. 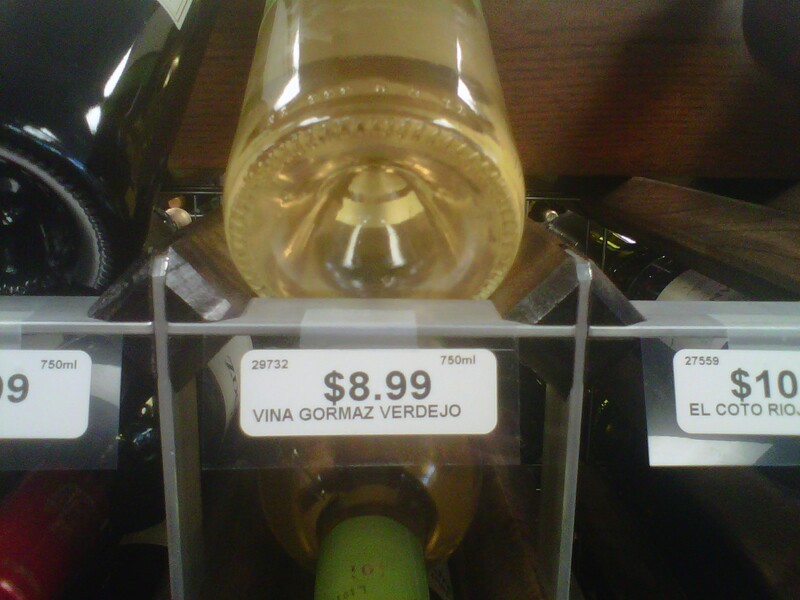 I spotted another Verdejo, Viña Gormaz from Bodegas Garci Grande, at my neighborhood supermarket, priced similarly. This Rioja Blanco, produced by Compañía Vinícola del Norte de España, evokes light seafoam and stone on the nose. There’s a bit of minerality on the palate but scant fruit. It retails for $12 to $14. 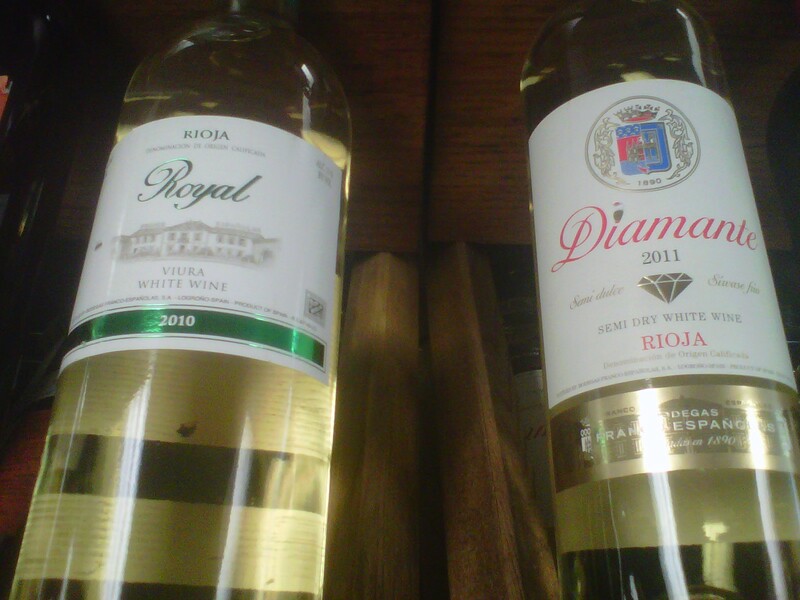 Shop-Rite’s wine department stocks two Rioja Blancos at the moment, Royal 2010 and Diamante (semi-dry) 2011. This entry was posted in Shopping, Tasting and tagged Macabeo, Rioja, Rueda, Spanish white wine, Viura. Bookmark the permalink.